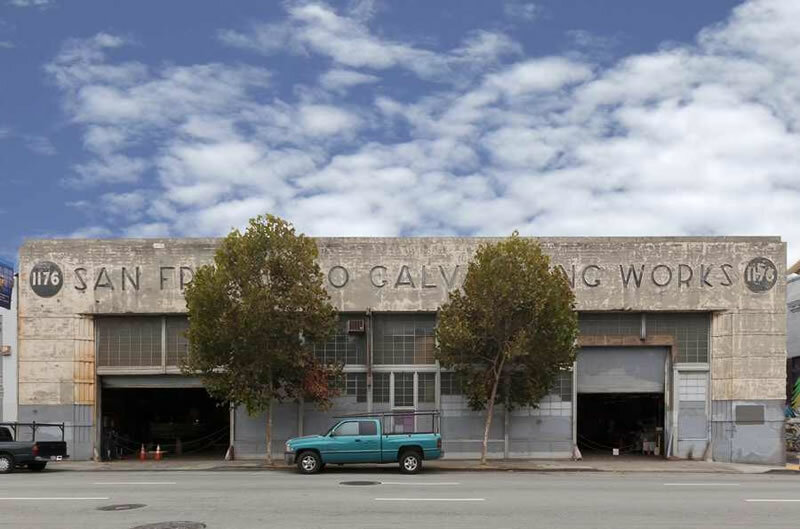 Plans to gut the San Francisco Galvanizing Works building at 1176 Harrison Street are in the works. And as proposed, a second floor would be added within the envelope of the existing building and the then 19,000-square-foot warehouse would be converted to office use. In general, the conversion of Production, Distribution and Repair (PDR) buildings to office use within Western SoMa isn’t permitted, unless the building is historic. And per the South of Market Historic Resource Survey, the warehouse, which was built around 1900, is eligible. As such, the project team will need to develop a detailed plan for rehabilitating and maintaining the building’s façade in compliance with the Secretary of Interior’s Standards for the Treatment of Historic Properties and incorporating its existing details into their redevelopment plan. The project team had floated a pair of proposals for adding up to four floors atop the existing warehouse and building up to 50 condos, or five floors of office space, on the site. But those plans appear to have been abandoned. Could be an excellent opportunity to do something unique / asymmetrical with a lot of glass, on top. The historic facade is actually pretty nice, even in its current state of repair. Ooooh, a 2 story building! My what a metropolis we’re becoming! No need for sarcasm, it’s doubling the density! So you’re saying it’s like the ol’ pessimist versus optimist glass of water – the parcel isn’t half built out, but rather doubling its area. Right, 100 years from now they will marvel at a city with skyrocketing land values and see an owner with the vision to make their building one story taller. They are not making the building any taller, just to be clear. “a second floor would be added within the envelope of the existing building,” i.e. they are turning a double-height interior into two levels. So, the owner’s CHOICE to build a smaller building is not valid? What’s with forcing someone to build up density? Cost is always a factor. I don’t get your argument- so now you think every property owner has a choice to zone and build the tallest building they want? No exactly the opposite. Zoning height is not the choice of the owner, but the owner does have a choice to build to the max or not. Not every site need be built out to the allowable. I see.. so you really have no convictions, just as I thought. Yes, all this waiting around to become a bulging metropolis that can’t physically sustain the living, infrastructure, and economic needs of its citizens is really cutting into my profit potential! I mean, what’s the point of having dislocating and highly-volatile asset bubbles if one can’t maximize profits by building the tallest building possible on every lot, sending property values and rents to even more unaffordable levels? You would think the city would want that building torn down and the site remediated. Galvanizing is a very caustic process, I’m not the least bit surprised that the residential plans were scrapped. Hope they got a good deal on the land. You might be surprised how relatively clean a galvanizing operation is to other more commonplace land uses. The humble gas station for example pollutes the soil with VOCs and often requires years of remediation. Those lead and zinc sites are remediated due to groundwater contamination. It doesn’t need to be remediated before a building is erected here. HCl is not a serious pollutant. The building may date from around 1900 but the façade is 1929. That’s one of my favorite SF buildings, and I’m glad to hear renovations will be within the existing envelope. I agree, and the typeface is fantastic as well. Cool facade, glad they are going to keep it. I know some people don’t like it but I’m personally a fan of the way they kept the brick facade and built a contemporary glass structure above Saison at 178 Towensend. Love the facade, but two stories? What a waste. Agreed, I’m 100% for preserving this façade, but it could have made a nice visually hefty base for an 8, 10, or even 15 story building. So you’re hell bent on changing the zoning everywhere to allow for higher and higher buildings? what’s your motivation? what’s your logic? Can we not have neighborhood with a variety of building heights? Are you envious of Dubai? Jeebus calm down. I’m just expressing an opinion. We happen to be entitled to them. Of course. opinions are great. why not offer more depth in yours? Building is bounded by a narrow alley (Berwick Alley) on the north, so any new stories would have to be set back successively. This side setback could be 40-50′ by the time you reach the height limit. 2 stories here is fine. The area is zoned for up to 8 stories now so a mix of buildings up to that height is perfect. No table top 8 story regimen is needed. Plenty of existing sites will be built up to 6, 7 or 8 stories and will allow lows for a lot of housing development. 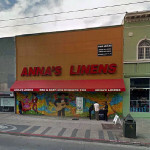 Keep the Central SOMA low-rise and re-purpose as many of the existing buildings as possible. Adding several floors that complement the in place building. The Pearl District did well preserving many of the area’s existing buildings. They were not historic per se but a nice variety of interesting architecture. 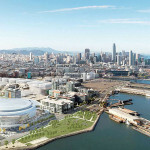 More of that is needed in the Central SOMA IMO.. This parcel is zoned 55-feet max. Most parcels on Harrison west of 7th and not adjacent to the fwy are zoned 55 or 65-feet, with interior block parcels mostly 40 or 45-feet. Purposely, Folsom is zoned taller than either Harrison or Howard. Harrison is planned to remain the predominant westbound car traffic road in SoMa. Harrison gets a huge flow in the exchange from the fwy as well. FWIW, this is west SoMa and is not included in the central SoMa plan, which only includes 2nd to 6th. Central SoMa is planned to be taller than west SoMa, with the Central Subway running through the middle of it and all. As Bobby mentioned above, this could be a nice two story office building. It might even have each story 20+ feet, open plan, maybe a mezzanine, etc. Then they don’t need to excavate into what is almost certain to be nasty soil, and trigger flood plain issues and more extensive seismic. This is ancient swampland that liquefies in earthquakes. Maybe we’ll get something attractive with a style and scale that respects the setting and history, unlike the beast going up at 8th/Harrison. Until we build a subway under Folsom, it would be nuts to build 10+ story buildings along Harrison in west SoMa. And the road plan (as much as there is one) for SoMa is to reduce the traffic lanes and parking on as many streets as possible. Just converting one lane on Folsom into a bike lane has effectively reduced it down to two through lanes during the day because of the double-parked delivery trucks. If you want to build up-up-up, you better be ready to pay to build underground transit. Remember, Ed Lee et al want to teardown 280 and remake 7th St into the Champs-Élysées Pacifique, or something. Good to know this area is not set to be up-zoned. Personally I don’t think there is any reason for further up-zoning of heights in SF. The hi-rise zone can be restricted to what it is now with any more hi-rise buildings being infill in the old financial district or the Transbay Terminal area. Smaller scale development like this project offers an opportunity to keep a neighborhood feel and provide a friendly and relatable street-scape. IMO. What a great facade. Give this to an interesting architect – like Anne Fougeron – and you could get a fantastic building.